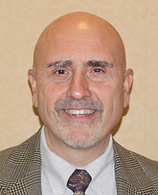 Marty Chumney joined the staff of Stark Metropolitan Housing Authority in 2012. While employed at SMHA, he has held the positions of Director of Housing Management and Director of the Housing Choice Voucher Program. 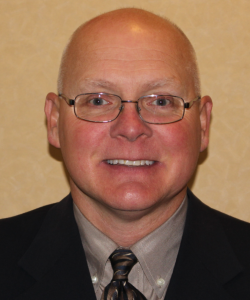 Prior to joining SMHA, Mr. Chumney was previously employed at Tuscarawas Metropolitan Housing Authority in New Philadelphia for 17 years where he had held the positions of FSS Coordinator, Assistant Director, and Executive Director. Marty is a graduate of Dover High School and The Ohio State University, where he earned a bachelor’s degree in political science. He has four children and resides in New Philadelphia. 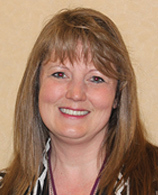 Veda has worked for Stark Metropolitan Housing Authority since 1990. She holds an Associate of Applied Sciences with High Distinction in Human & Social Services. A graduate of the 28th Class of Leadership Stark County’s Signature Program and Leadership Stark County’s Government Leadership Academy, Veda is trained in the principals of Six Sigma through the Lean Ohio Boot Camp through the Ohio Department of Administrative Services. She holds various certifications in housing-related programs including two as a Certified Manager of Maintenance, Certified Public Housing Manager, Certified Occupancy Specialist, and a Certified Housing Specialist. Veda has received specialized training in management and supervision, uniform physical conditions standards, fair housing and reasonable accommodations, public housing and housing choice voucher eligibility, income and rent calculations, and as a trained union steward. Ashley Wright is a proud graduate of Malone University located in Canton, OH. There she earned the honors of All-American, was a multi-year National Champion in track and field, and in 2008 she obtained a Bachelor of Arts degree in English. In 2013, Ashley participated in the Malloy College Spanish Literature and Culture Summer Institute in Long Island, New York and in 2014 obtained a Master of Arts degree in English Language and Literature from Northwestern State University. Ashley completed all coursework in Faulkner University’s Doctor of Philosophy Humanities program in 2018. Presently she is completing her PhD dissertation. A life-long Stark County resident who began her experience in the government sector in 2007 as an intern in the Department of Legislative Affairs at the American Kennel Club located in Raleigh, NC, Ashley holds over 10 years of technical writing, public relations, marketing communications, web development and management, and print and digital design experience. With previous positions at the Stark County Board of Commissioners and City of Canton Mayors’ Office, Ashley possesses an extensive background in government relations and compliance. In 2014, Ashley joined Stark Metropolitan Housing Authority and in her role as Interim Director of Planning and Development she strives to lead the effort to plan and develop rehabilitation and new construction projects to better the lives of the residents in Stark County. Ashley works closely with the Executive Team, staff, governmental agencies, and community organizations to secure funding, build partnerships, and develop long-term development strategies to ensure the sustainability and viability of SMHA’s housing portfolio. Ashley serves as Vice President of the Lake Senior Housing Board and is Secretary of the Hunter House, LLC Board. A published novelist and poet, Ashley has written articles for several magazines, scholarly journals, and fiction anthologies. She, along with her husband, Michael, and their daughter actively participate in volunteer and community-based activities in North Canton, where they reside, as well as in the cities of Canton and Rootstown where they are employed. Jeff Patterson is a Certified Public Accountant (CPA-inactive status), licensed in the State of Ohio. He earned a Bachelor’s Degree in Accounting and a Master’s in Business Administration from Youngstown State University. He began his career in the for profit business sector. During this time, he excelled and held positions such as Operations Manager and Vice President for The Sports Cage, Director of Administration for Vertex Development Corporation and Controller and Secretary / Treasurer for Truck World Incorporated with sales in excess of 60 million. From there, he moved over to the Mahoning-Youngstown Community Action Partnership (MYCAP), a 501( c )3 nonprofit, as the Fiscal Director. MYCAP received federal and state dollars totaling 16 million to assist income eligible residents of Mahoning County, Ohio with a variety of programs (Head Start, Early Head Start, Community Services Block Grant, Low Income Home Energy Assistance Program, Home Weatherization Assistance Program etc.). He then joined Applied Systems and Technology Transfer, LLC (AST2), a startup for profit entity, as the Finance Manager. AST2 is a small business designated HUBZone Contractor by the U.S. Small Business Administration (SBA), providing professional services to both government and commercial clients. At the same time he was employed by AST2, he also worked as an independent contracted financial consultant for Danya International. In this capacity, he worked as part of a team reviewing Head Start and Early Head Start programs across the country, responsible for the reviewing financial compliance with Health and Human Services – Office of Head Start regulations. Kevin Schaack joined the Stark Metropolitan Housing Authority (SMHA) staff in May of 2017. Kevin has over 20 years of Human Resources experience in the private and public sector. Kevin holds certifications as a Senior Certified Professional (SCP) from SHRM and a Senior Professional Human Resources (SPHR) from HRCI and is involved in Stark County SHRM. Kevin has served as the Chairman of the Board for the Lake YMCA in Hartville and currently sits on the board at the YMCA in Hartville in Stark County. Kevin and his family live in the Uniontown, Ohio area. Kevin has his Bachelor’s degree in Management and Human Resources from Minot State University in North Dakota. 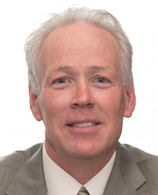 Kevin is responsible for all Human Resources and Risk Management with SMHA. Kevin is tasked with establishing culture and takes great pride in a servant mentality when it comes to employee relations. Corey Minor Smith earned a Bachelor’s Degree of Arts in English and a Master’s Degree of Education in Guidance and Counseling from Bowling Green State University. Corey then earned her Juris Doctorate from the University of Toledo College of Law where she served as President of the Black Law Student Association, competed in the 15th Annual University of Minnesota Law School National Civil Rights Moot Court Competition and won first place in the American Society of Composers Artists and Publishers’ Nathan Burkan Memorial Competition. She is a member of the Ohio and Georgia bars and licensed to practice before the United States District Court of the Northern District of Ohio. 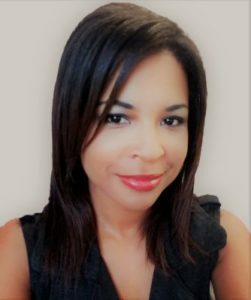 She began her legal career as an Assistant Prosecutor and later served as a Judicial Attorney authoring decisions that were upheld by the 9th District Court of Appeals before establishing the Law Office of Corey Minor Smith, LLC. Currently, as General Counsel for Stark Metropolitan Housing Authority (SMHA), Corey represents SMHA in civil and administrative proceedings and guides the Executive Director and SMHA staff on an array of complex legal, labor relations and contract matters. Nationally, Corey was a panelist at the Housing and Development Law Institute conference in Washington DC. Internationally, Corey presented in Cape Town, South Africa during the Southern African Housing Foundation Conference as a delegate of the United States. The Canton Oldtimers Ladies Auxiliary Club honored Corey with its Phenomenal Woman Award, she was named one of Stark County’s Twenty Under 40! and an ATHENA International Women’s Leadership Finalist. The Boy Scouts of America Buckeye Council also honored Corey with the Spirit of Scouting Award and she was inducted into the YWCA Women’s Hall of Fame, Class of 2016. 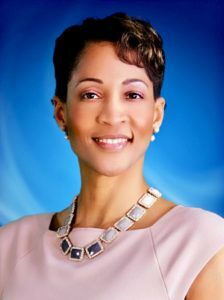 Her current community activities include being a motivational speaker, a member of the Honorable Judge Ira Turpin Scholars Recognition Committee and the Akron/Canton Barristers Association. In addition to being a proud member of the Stark County Alumnae Chapter of Delta Sigma Theta Sorority, Incorporated, Corey is a graduate of the 2008 Class of Leadership Stark County’s Government Academy and Leadership Stark County’s 26th Class. Among her accomplishments, Corey was the first African American female to be a candidate for Judge in the Canton Municipal Court and received 30% of the vote against a 20+ year incumbent. Subsequently, Corey was elected to the Canton City Schools Board of Education after receiving the most votes out of five candidates. Most recently, on November 7, 2017, Corey received the most votes out of six candidates and was elected to be a Canton City Council at Large member. She is the first African American to ever be elected to a city-wide race Canton, OH.